Malacanang said President Rodrigo Duterte will fight Moro National Liberation Front (MNLF) Chairman Nur Misuari should the latter declare war against the government if federalism is not approved. 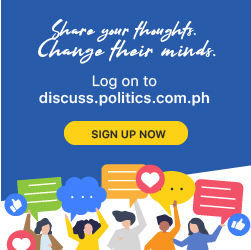 In a meeting with Duterte Tuesday evening, Misuari threatened to “got to war” if the shift to federalism does not push through under the present administration. “(The President) said that he understood where the Chairman was coming from. He reminded him that the federalism issue would be up to Congress. He suggested that (Misuari’s) group creates a panel of five members and the government’s side same number, and they will meet and discuss. Whatever the product of that discussion, they will have a one-on-one meeting, and then, he said, after which we will celebrate for its success and if it fails we will die together,” presidential spokesperson Salvador Panelo said. “In other words, what he’s saying is, because the Chairman said, I will go to war, which means if he goes to war then he will be fighting the government. So, if he’s fighting the government and the head of the government is the President, they would be fighting with each other,” he added. But, Panelo believes the government and the MNLF would not reach that stage. “Both sides would want peace, and that is precesily we have BOL (Bangsamoro Organic Law) and we have to deal with other Moslem rebellious groups,” according to him.